France experienced four major conflicts in the fifty years between 1914 and 1964: two world wars, and the wars in Indochina and Algeria. In each the role of myth was intricately bound up with memory, hope, belief, and ideas of nation. This is the first book to explore how individual myths were created, sustained, and used for purposes of propaganda, examining in detail not just the press, radio, photographs, posters, films, and songs that gave credence to an imagined event or attributed mythical status to an individual, but also the cultural processes by which such artifacts were disseminated and took effect. 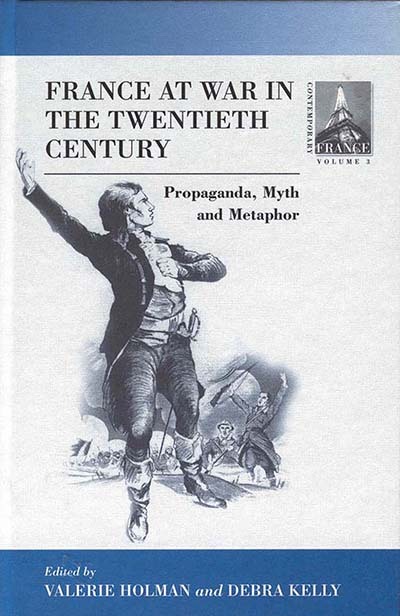 Reliance on myth, so the authors argue, is shown to be one of the most significant and durable features of 20th century warfare propaganda, used by both sides in all the conflicts covered in this book. However, its effective and useful role in time of war notwithstanding, it does distort a population's perception of reality and therefore often results in defeat: the myth-making that began as a means of sustaining belief in France's supremacy, and later her will and ability to resist, ultimately proved counterproductive in the process of decolonization. Valerie Holman is an art historian and was, from 1995 to 1997, a Research Fellow in War and Culture Studies at the University of Westminster. Debra Kelly is a Senior Lecturer in French at the University of Westminster, teaching modern and contemporary French and francophone literature. She is coordinator of the Group for War and Culture Studies: France 1914-1964.